The Defend Trade Secrets Act (DTSA), passed in 2016, created a federal cause of action for trade secret disputes. The DTSA enables enhanced uniformity in enforcing rights to valuable trade secret technology through its robust remedies scheme, which includes temporary injunctions, permanent injunctions, ex parte seizures, and monetary damages. Exemplary damages are also available for conduct that is willful and malicious. While there have been previous cases filed under the DTSA, a new case promises to provide guidance on litigating under the DTSA, in particular regarding damages awards and injunctive remedies available under the Act: in late February, Waymo, LLC (Alphabet’s self-driving car subsidiary) filed a claim that Uber and its relatively newly acquired self-driving car subsidiary, OttoMoto, stole trade secrets related to its proprietary self-driving car technology. Anthony Levandowski, formerly a manager at Waymo’s self-driving car project, left the company in January 2016, formed a new company in February 2016 that ultimately evolved into Otto, and then sold Otto to Uber in August 2016 for $680 million (just 8 months after leaving Waymo). Uber acquired Otto specifically for its use of laser sensors to guide self-driving cars (“LiDAR” technology). Waymo, too, uses a proprietary LiDAR system in its self-driving cars and contends that its trade secrets were obtained by Otto and Uber. One key point is clear already though: The players may be high-profile and the stakes may be huge, but the fact pattern – i.e. a valuable employee with important proprietary knowledge leaves a company and begins competing in the same (or a similar) industry – is completely ordinary for trade secrets cases. This occurs often in companies and across multiple industries – not just in the technology context. Top sales employees take customer lists to generate future sales, software engineers take code or technical documents to help with their work at a competing company ... these are common occurrences, against which companies should affirmatively protect themselves. Companies should also consider pursuing litigation where applicable. One avenue for such prevention is to institute an established process for monitoring access to secured or encrypted information, which can serve effectively as a tripwire when certain highly-valuable trade secrets are targeted. For example, proprietary and/or valuable data can be stored in a repository that monitors who accesses the data, when they access it, how long they spent with it, and whether any data was downloaded. Lower-tech solutions include keeping certain data or documents in a “safe room” where physical access control can be implemented. Safeguarding items like customer lists, which must be constantly accessed by sales personnel, is more difficult. One partial solution might be to allow only limited access to certain parts of the customer list at a time or to allow only certain portions of the data to be accessed. Still, a salesperson can take a screenshot or picture of whatever data is provided, which is more difficult to trace or monitor because there is no download of the data. A more effective approach in these situations is on-point language in an employment agreement -- i.e. a tightly-drafted non-competition clause (including the right to injunctive relief) accompanied by a clause acknowledging that the employee has access to trade secrets and that the employee recognizes that such trade secrets have significant value, the misappropriation of which would cause irreparable harm. While this approach may not prevent the actual theft, it presents a potentially smoother path to injunctive relief if a court proceeding becomes necessary. Timing is also important. Waymo, though owned by a very sophisticated party, still didn't catch the file download until months after the alleged theft. The reality is that most employees leaving to begin a job or start a company in the same field will want to take something from their existing employer, so it’s important to have a standard process in place that automatically begins once an employee gives notice. Such a standard investigation process could include identifying all data saved or downloaded to non-company devices by the employee, whether email or contacts in email programs have been downloaded or saved using USBs or other third-party storage devices, and whether files or contacts have been moved to any third-party cloud-based storage program. The date ranges of such searches should extend to the six months preceding the employee’s notice date (the most likely period for misappropriation of trade secrets to occur). Another strategy is to obtain any laptop or mobile devices provided to the employee upon receiving notice of the employee’s intent to leave the company. The company can then analyze the device for any software installed that could have assisted the employee in obtaining proprietary data. While these measures can impose overhead costs, completing a relatively inexpensive diligence process when an employee departs can avoid potentially expensive litigation in the future. It’s also critical to pursue litigation, if applicable. Companies are harmed any time proprietary technology such as software code, blueprints, design documents, customer lists, manufacturing techniques, or marketing strategies are obtained for use by a competing business. 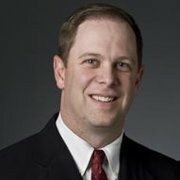 Misappropriated trade secrets give competitors a “head start” by allowing them to bypass the time, investment, and refinement that goes into proprietary techniques and data. Such misappropriation is becoming increasingly harmful; companies increasingly rely on proprietary processes and data, rather than manufacturing their own products, to compete and outperform others. Another key area for claims that is often overlooked is “know-how”. Know-how generally relates to processes, vendors, approaches, or any other competitive advantage generally unknown to a competitor and employed by the company. More colloquially, know-how is the “tricks-of-the-trade” that are only employed by your company. Know-how includes (i) how to market a company or product in a industry, (ii) the processes used to make a company more efficient in an industry, and (iii) a spreadsheet with an algorithm regarding how to price certain products or determining a product mix. 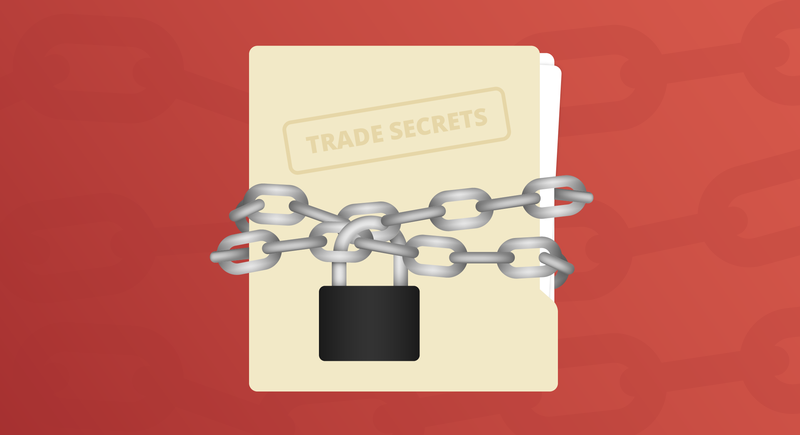 Often, clients focus on telling their attorneys what secret list, formula, or data was stolen, but the most valuable misappropriated trade secrets could be the “know-how” a company developed over many years of business. Accordingly, know-how is often an important topic for any initial meeting with an attorney because it can be the basis for your trade secret claims but is often not readily apparent to an attorney. Before any such meeting, it can be helpful to write down the processes or things a company does that it does not share publicly that help it compete for business so the lawyer can determine what, if any, of that know-how could be the basis of a successful claim. As for Waymo and Otto, it’s important to remember that the allegations are still just that – and there’s always another side to the story. Even assuming the facts as plead are true, there is still a question of whether the trade secrets obtained by Uber are used in its self-driving car project and if so, to what extent. This could impact the amount of damages available for Waymo even assuming it can prove its claim under the DTSA. It also remains possible that Waymo is pushing the lawsuit to maintain its lead in the self-driving car space, with the lawsuit intended to slow down Uber’s efforts to compete with Waymo. It will be tremendously interesting to see how this case develops moving forward – stay tuned!